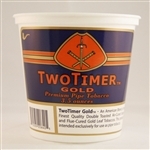 Balanced blends of burley, flue-cured, gold leaf, and oriental tobaccos – if you’re looking to buy flavorful tobacco online, there’s no better choice than Rowland and Two Timer blends from Indian River Tobacco. 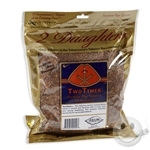 When you choose to purchase flavorful tobacco online with Indian River Tobacco, you’re selecting from the finest quality tobacco blends that deliver smooth, flavorful, familiar tastes with pleasant finishes. If you’re looking to enhance your smoking experience, Indian River Tobacco is your source for the finest flavorful tobaccos on line. Each of our exquisite bold flavor tobacco blends are available in 40 g., 3.5 oz., and 16 oz. sizes, perfect for trying a new blend or stockpiling your favorites for non-stop smoking pleasure. These bold flavor tobacco blends offer an enjoyable smoking experience for pipes and more. Browse our selection below, and find the bold flavor blend that suits you best. Get FREE shipping on all bold flavored tobacco products!